Artificial Grass Cleaning Products: Which Ones Are Best? Home > Knowledge Center > Artificial Grass Cleaning Products: Which Ones Are Best? One of the reasons artificial grass is quickly growing in popularity is that it is a low-maintenance landscaping option that requires very little time and effort once it is installed. While this means that you will never have to mow, edge, aerate, fertilize or irrigate your lawn, it does not mean that it is completely maintenance free. 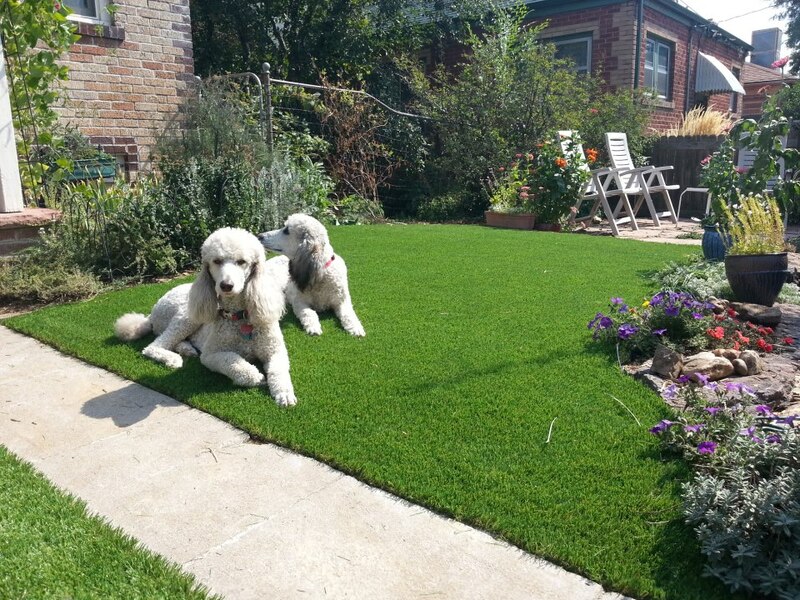 From time to time, you will need to perform some routine maintenance tasks, which will need to occur more frequently if you have pets that use your synthetic lawn as a restroom. For the most part, you should be able to clean your manufactured turf with water. This will include periodically spraying it down to remove dust and small debris and is also a good idea as a regular maintenance task after your pets urinate on the grass. You can also rinse the area with water after picking up solid waste. 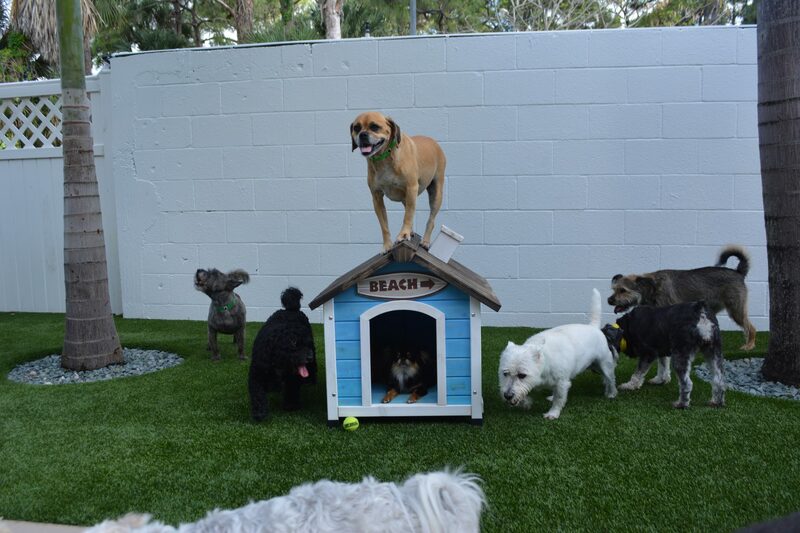 If you are able to rinse down pet restroom areas soon after they are used, you may find that water is enough and that you do not need other artificial turf cleaning products. If this is not the case, such as in the case of lingering odors or other types of spills, you may have to move to other solutions. Fortunately, there are natural cleaning products for fake grass that you can easily make at home. One option is to mix a small amount of natural, liquid soap with water in a spray bottle. The second option is to make a one-to-one mixture of distilled white vinegar and water. Either of these homemade solutions can be sprayed on the grass, and then rinsed away with a garden hose. If you are treating pet restroom areas, you may want to opt for the vinegar-water mixture, since this will also help with any odor left behind and with removing bacteria. If you find that these options are not removing the odor effectively, try sprinkling baking soda over the area. Allow it to remain in the area to absorb the smell, and then rinse the area down with a garden hose or spray the area with your vinegar-water mixture followed by plain water. If you prefer a commercial solution or find that this method is not working quite as well as you would like, there are many turf deodorizers on the market that can be purchased online or in some garden centers and home improvement stores. If you choose to go this route, we recommend using natural, non-toxic options, particularly if you have children or pets who use the lawn as a play area. Be aware that many of the commercial cleaning products for artificial grass simply cover the odor but may not actually remove it, so it may take some trial and error to find a product that you like. One of the synthetic turf cleaning products that we use and recommend for urine odors is Urea “Z”, which is a natural, environmentally friendly, microbe-based turf deodorizer that can also be used on other surfaces, such as concrete, carpet, bricks and soil. 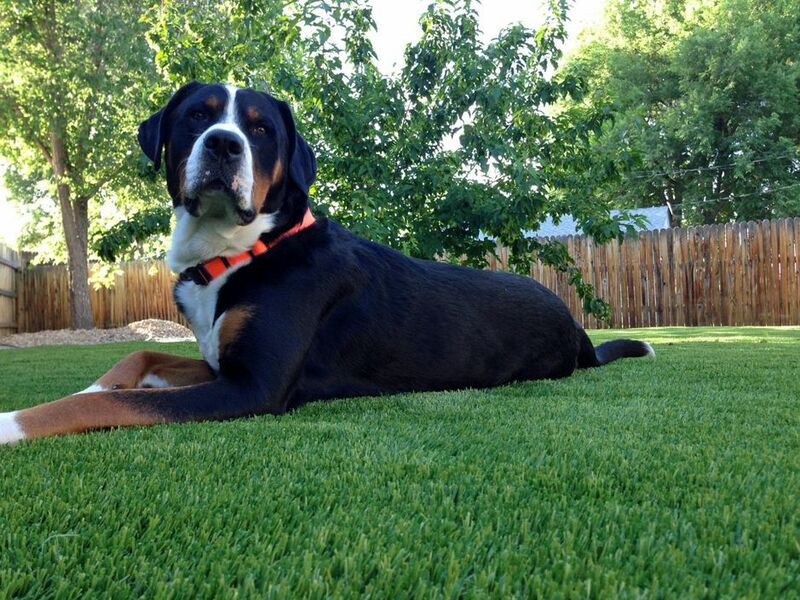 You can learn more about Urea Z by reading How to Remove Pet Odor / Urine Smell on Artificial Grass and Q + A with Joven of Urea Z – The Pet Odor Solution. You can learn how to use Urea Z in your yard by reading How to Use Urea Z to Remove Pet Odors from Your Tuf + Pavers. To learn more about how to maintain and clean artificial grass, check out Artificial Grass Maintenance: How to Clean Artificial Grass Guide .